Chic bedside tables are a bedroom essential! 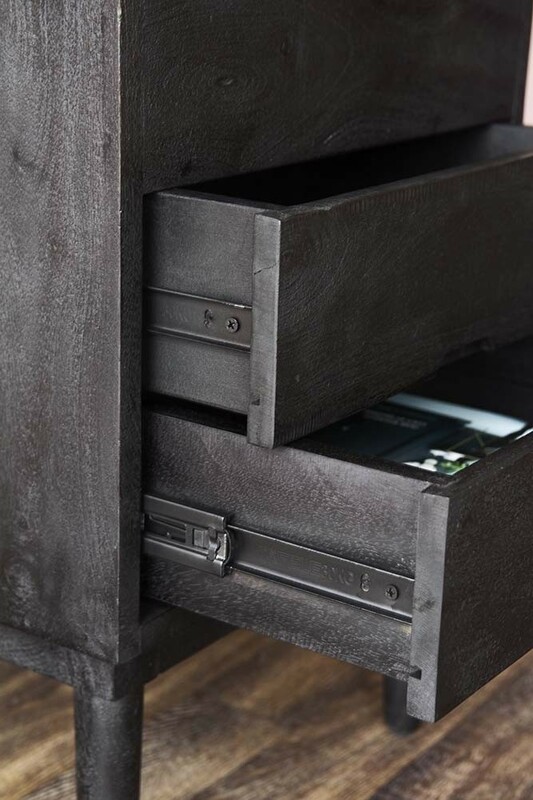 Perfect for storing all of your nightstand essentials the Bureau-Style Black Mango Wood Bedside Table is striking and stylish. 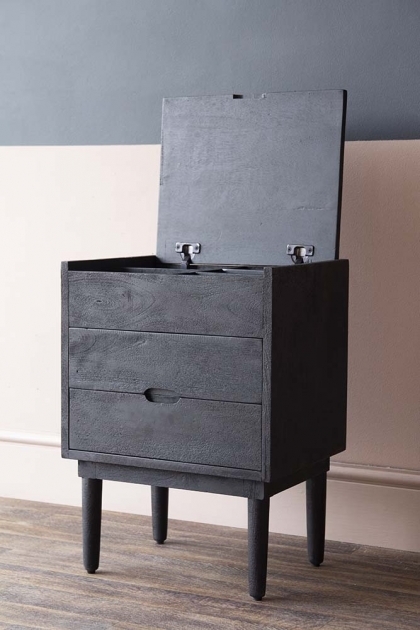 In a black mango wood the Bureau Style Bedside Table has plenty of storage with two drawers and an open top with little compartments for your jewellery, watches, make-up and lotions. 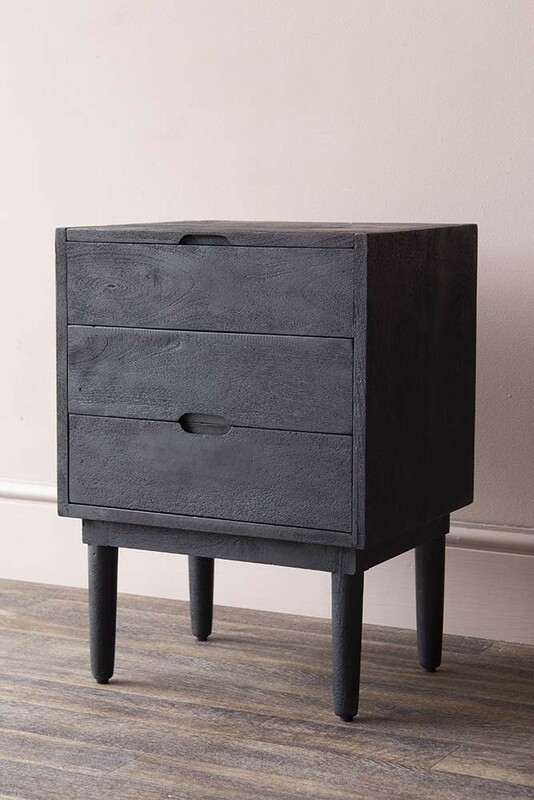 A beautifully designed piece for your bedrooms the Bureau Style Bedside Table would look great as a set either side of the bed, but would also look equally fabulous on its own. 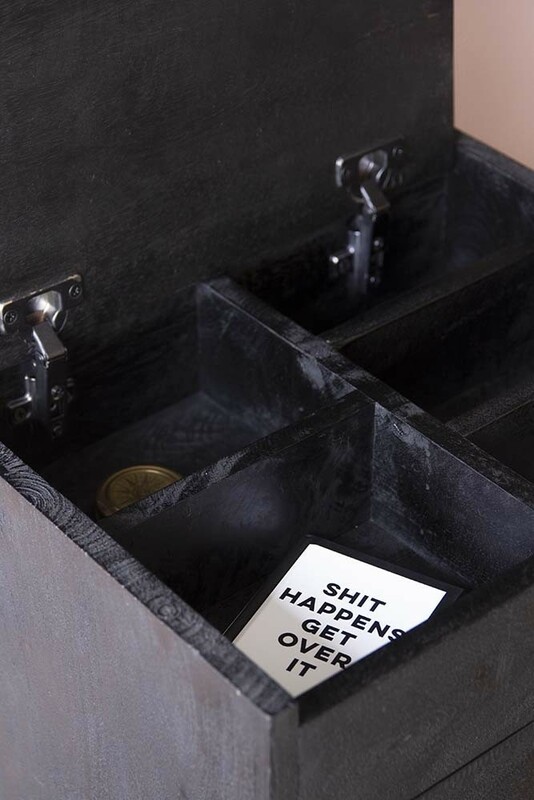 A multi-functional piece, you could also re-purpose this bedside table and use it as a cosmetic counter next to your dressing table or sowing station for all of your sowing essentials! 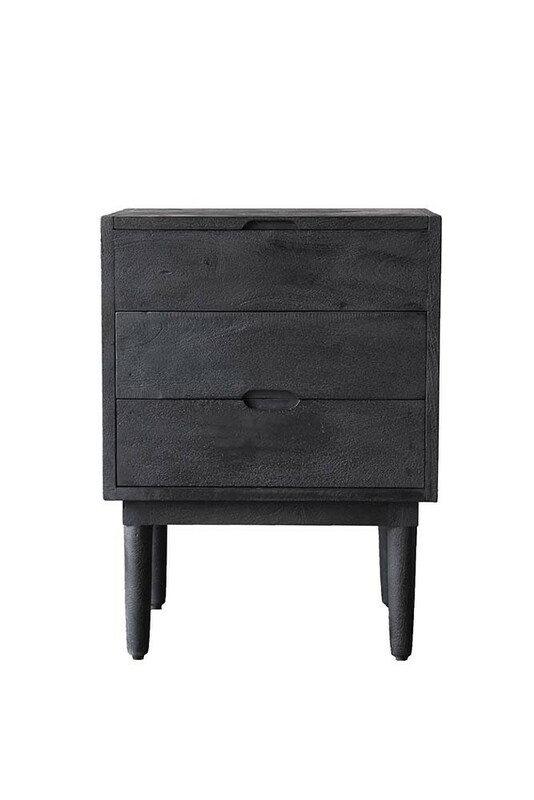 No matter what you choose to do with the Bureau Style Black Mango Wood Bedside Table we know that you will love it.